There’s a widening wealth gap between the “haves” and the “have nots”. So which side of the divide are you on? And how do you bridge that gap and gain greater economic control, freedom and security for yourself and your loved ones? Welcome to CLOSING THE WEALTH GAP. 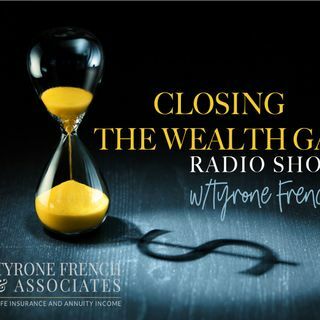 The only show with weekly, workable tips, ideas and suggestions for average income earners LIKE YOU on how to regain control of your financial future, from the man who’s helped millions….Tyrone French from TYRONE FRENCH and ... See More ASSOCIATES. Right here on Orange County's only community radio station, OC TALK RADIO.